With Seminyak representing a modern beach oasis, discover another side of Bali’s rustic charm with our cooking classes. Create and taste authentic Balinese tastes, where in most classes you will be able to visit a local Balinese market to collect your ingredients for cooking. Some of our classes even offer a more hands on experience by providing an organic farm visit where you can physically collect your seasonal ingredients for your cooking lesson. 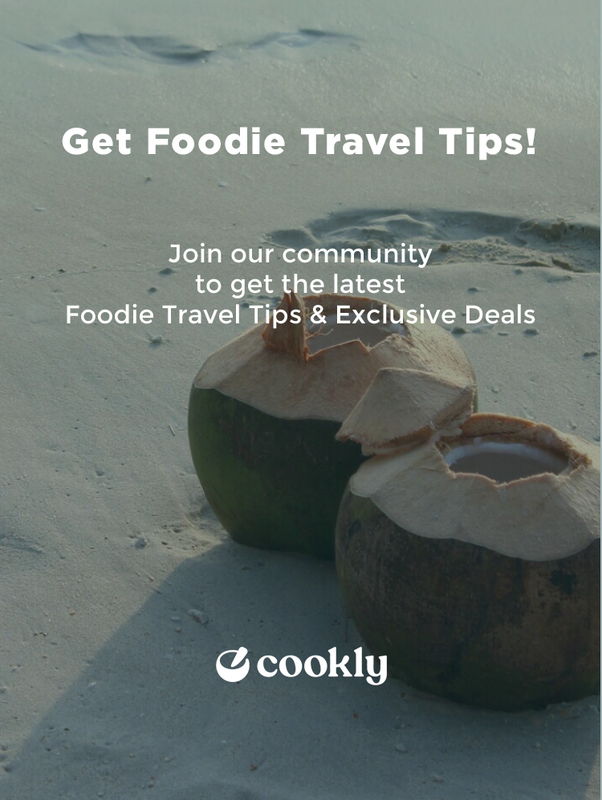 "Great way to learn to cook authentic Balinese food!" We cooked many dishes and were able to take home all recipes which was great! The class was interactive and my partner and I were able to participate in multiple occasions during the cooking process which is sometimes quite challenging in a large group setting! The chef and his assistant chefs were really funny and entertaining throughout the process! It's a fun and great way to start out any day in Bali! We covered many dishes during the class which was amazing! We all got to pariticipate in the cooking multiple times which is sometimes lacking in group cooking classes! Great way to meet new people and learn authentic Balinese cooking! My partner and I really loved the experience and it was a great start to our day! "very nice and the chef was very informative"
i met nice people and loved learning about not only the food and the culture aswell. the chef was very generous with sharing his information and he made us all participate in the class. It was our first cooking class and we had a wonderful time. The chef was patient, funny, and easy to understand. I appreciated that everything was kept very clean and all of our questions were easily answered. I feel prepared to make several of the recipes at home, and the recipe book that was included was perfect. Very informative cooking class, the most delicious food and friendly staff, Tommy was a great lead chef! Morning class in Bali, Tommy was a fountain of knowledge and a pleasure to be with. What fun we had! This class was an authentic, fun, and great cooking experience. The setting for the class was also pretty and welcoming. Putu was a good teacher and he explained each process well while involving us in the food preparation. The food was great and I’m looking forward to trying the recipes at home! "Tha class, the staff and the venue were fantastic." The whole experience, from the time we arrived until the time we left, was extraordinary. I would recommend this class at any time. Really good! Thoroughly recommend it. Interesting, informative & most of all great fun. Go by yourself or in a group - you are welcomed & included in all the activities. "Good fun ... Knowledgeable teachers"
The team at Nia's are great. Really interesting cultural experience and we learnt so much about Balinese cuisine. The recipe book will be handy when I try these at home Thanks! This was a great experience. Learned a lot about Balinese cooking and the spices and herbs that make it all happen. The best part was it’s all vegan!! So many delicious recipes turned into fabulous tasty meals. It was a great experience and got to take home all the recipes. Fabulous funny chef and caring attentive staff. Thank you Kinvegan cooking class. We had the best time at Kin Vegan Cooking Class. The staff at the cafe are fantastic and Komang (the chef who takes the class) is brilliant! We had so much fun learning how to cook vegan. Neither myself nor my husband is vegan but we will definitely be trying out these dishes when we get back home. Such a great value class - can’t recommend enough!